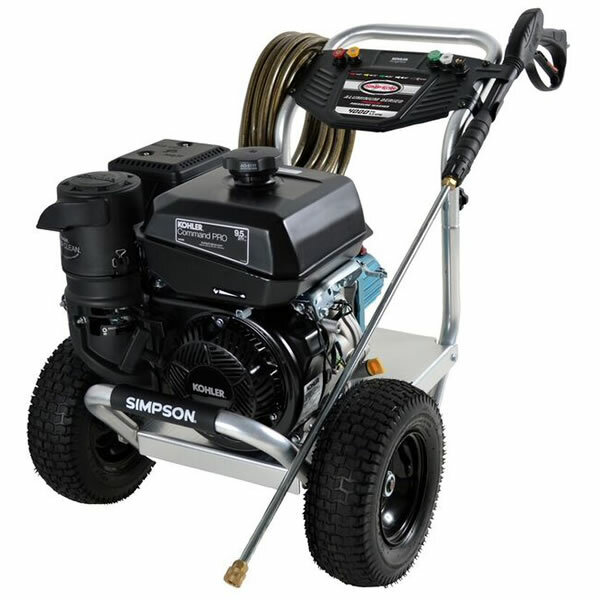 We are an authorized dealer for many brands of pressure washers, hedge and grass trimmer, chainsaws and blowers, including ECHO, Simpson, Briggs & Stratton, Dolmar, Husqvarna, CORE, Oregon and Poulan. Come in and take a look at or order the accessories available for trimmers etc. 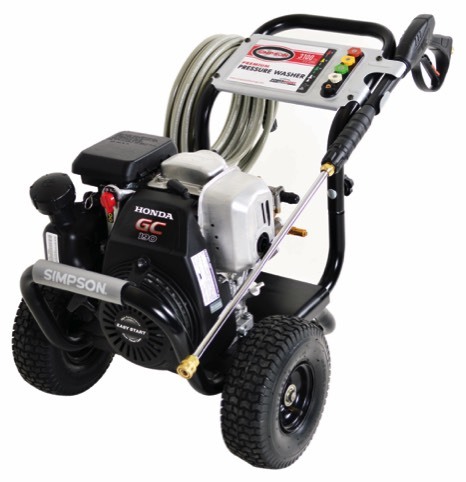 We also stock parts for trimmers, pressure washers etc if you want to service or repair your equipment yourself. Entry model. Easy operation, fitted with professional features. Very easy starting. • Touch&Stop one lever control with clearly defined positions for cold starting, operation and stop. Engines shuts off with just a touch. Professional-featured saw in a new lightweight design. Available in14" and 16" bar lengths. Outstanding power and incredible features for the best value in its class. 14", 16" and 18" bars lengths. 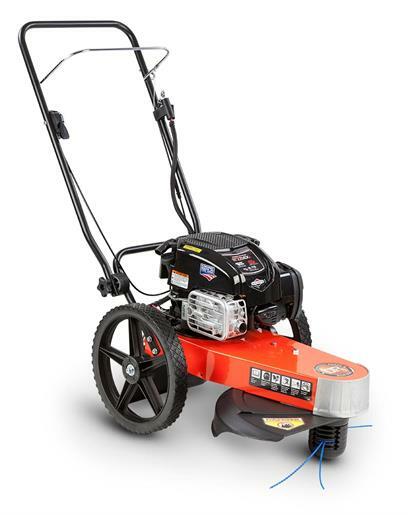 The PP4218AV is powered by a 42cc 2-cycle gas engine and is outfitted with an 18" steel bar. Some beneficial features of the PP4218AV model include an Anti-Vibe handle and Over-molded rear handle to lessen operator fatigue, automatic chain oiler, Effortless start system, and the Super clean air filtration system. A carrying case and extra chain are included with this model, which is backed by a 2-year warranty. Excellent for general landowner property management. 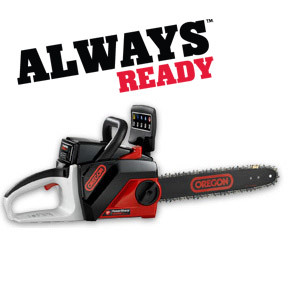 Whether you're a commercial landscaper, professional arborist, or a hard working homeowner who simply demands the best, the OREGON® 40V MAX Chain Saw is designed with all the battery muscle you need to get the job done. It runs cleaner, quieter and is free from the hassles of gasoline or cords. Pull the trigger and you have an instant start and long run time. Just charge the PowerNow™ Battery Pack and you are always ready to go with Lithium Ion no-fade power. 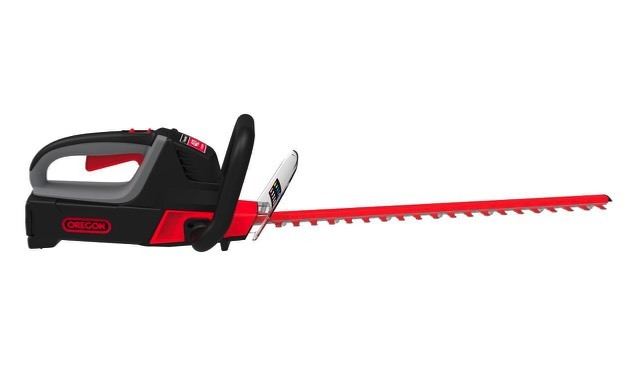 What included in the Chain Saw Kit (Model CS250-E6)? So what can it cut? *Fully charged battery voltage measured without a workload is 40 volts. Nominal voltage is 37. Coupled-Shaft Motor unit for versatile application with all CS-Series attachments! Multi use engine. Can be used for various purposes by changing the attachment. Delivered with brush cutter attachment. 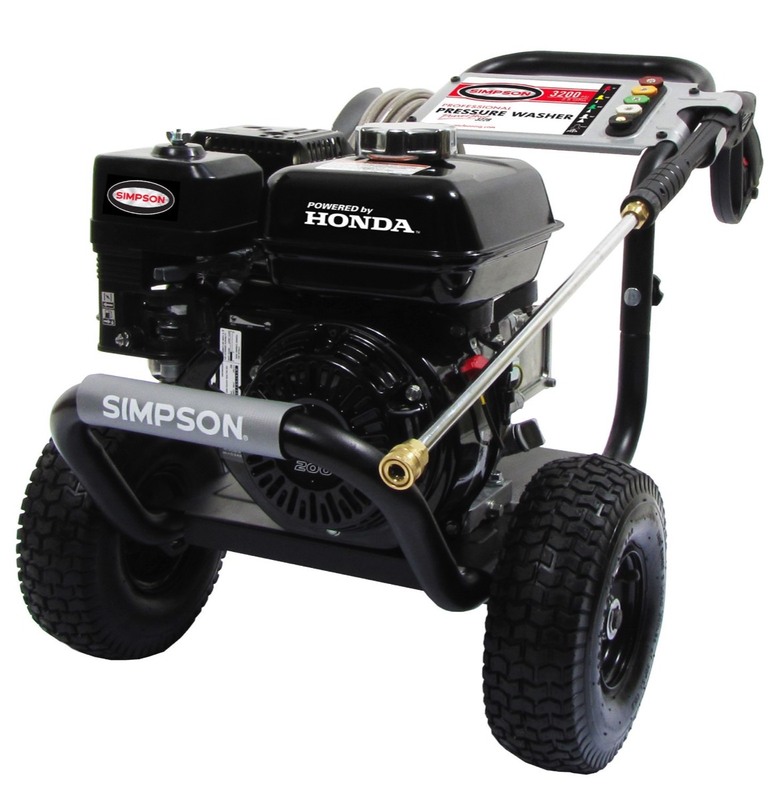 • Powerful and environmental friendly 4-Stroke-Engine. 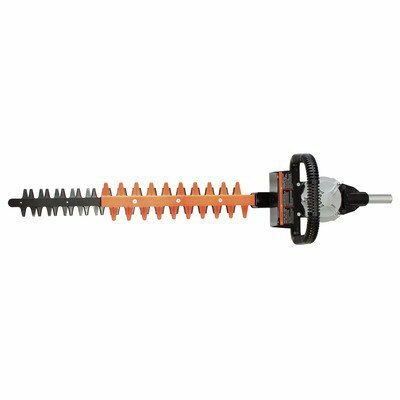 This double sided hedge trimmer attachment fits couple shaft motor unit CS-246.4C. 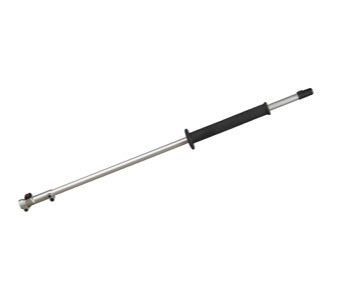 The trimmer bar is 49 cm / 19.2", is 13 step 135° adjustable. (90° to the top, 45° to the bottom), and can be easily folded completely for transportation. Loaded with professional features and a fresh new look. Reduced shaft length for great maneuverability and outstanding balance. Fixed shaft Power Pruner cuts tough jobs down to size. Whether you’re a commercial landscaper or a hardworking homeowner who simply demands the best, the OREGON® 40V MAX* Hedge Trimmer has the power and precision for any job you might face. With no cords to get cut or tangled, the HT250 is ALWAYS READY™. The OREGON PowerNow™ Lithium Ion BatteryPack features premium cell technology for long run time and fast, powerful cutting. An ergonomic, in-line design allows for comfortable use. It has a 24” Blade for heavy-duty jobs and an even finish, laser-cut, heat-treated precision cutting blades for cleaner cuts and healthier plants and up to ¾” cut capacity for fast, smooth cutting. Over 60 minutes of actual cutting time with 2.4 Ah battery and total “project time” of over 2 hours with 2.4 Ah battery. 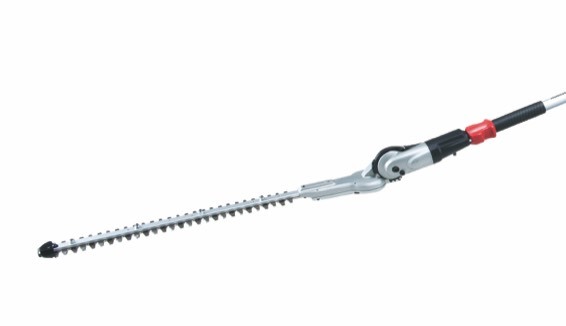 The CHT 410 hedge trimmer features a fixed, double sided reciprocating blade with integrated cutting guard. Perfect for heavy trimming or precision cutting. Includes drive unit a standard 3 hour charger and one power cell. The Intelligent electronic controller recognizes which attachment has been connected. All attachments are sold separately. The unit reduces operating costs and is virtually maintenance free. Weigh 4 lbs without power cell, 7 lbs with power cell. 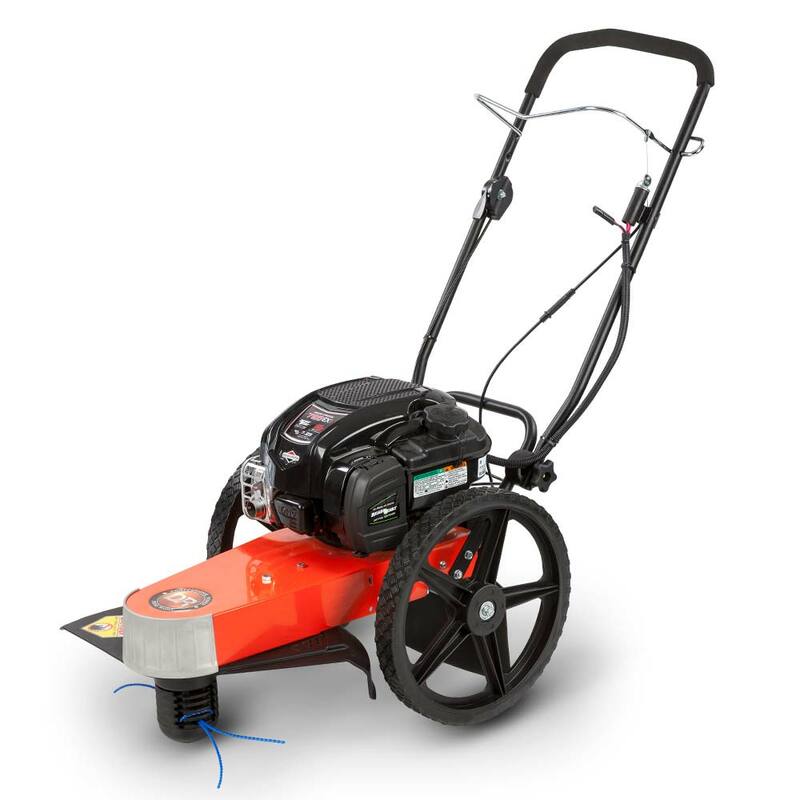 This drive unit connects with the CORE Power Lok trimmer, hedge trimmer and blower attachments. Performance, durability and power sum up the CORE Power Lok Hedge Trimmer. 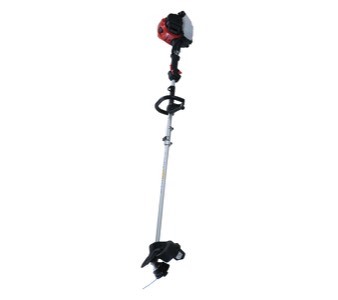 This is the hedge trimmer attachment for the Power Lok Drive Unit CDU400 (sold separately). Run time is equal to a tank of gas. 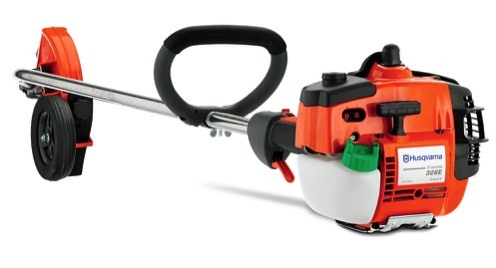 The hedge trimmer has a 22" blade and works at 3200 stokes per minute. It has a protective brush guard and soft-grip handle. The instant start trigger means there's no pulling necessary. Weight (fully assembled with Drive Unit, Power Cell and Attachment): 13 lbs. It can be used with the CORE Quad Power Pak for run times of up to 4 times that of a single power cell. Professional features with low noise performance. Combination of economical performance, dependability and comfort. 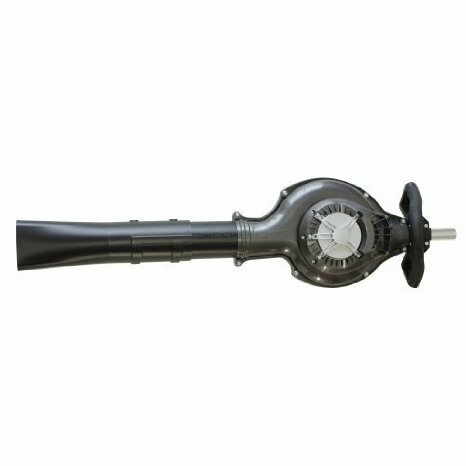 ECHO's most powerful blower featuring tube-mounted throttle control. 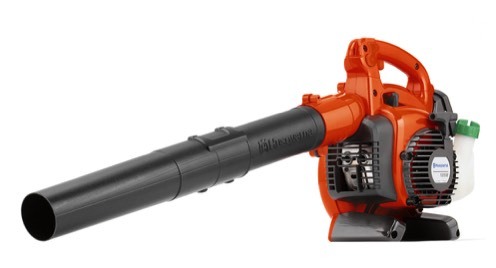 The CORE Outdoor Power blower delivers quiet professional performance without the vibration, exhaust emissions and weight associated with traditional gas powered blowers. The CB 420 has dual power controls. HIGH speed for normal blowing or LOW for optimum performance and longer run times. 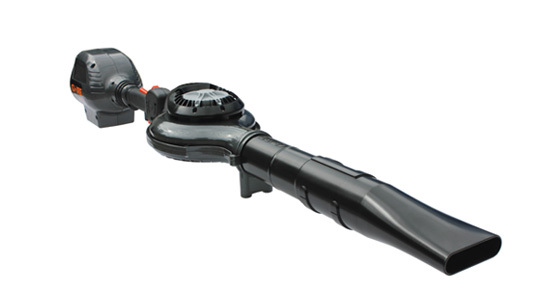 Performance, durability and power with a run time of up to 30 minutes with the CORE Power Lok Blower. This is the blower attachment for the Power Lok Drive Unit CDU400 (sold separately). The air flow with this unit is up to 400 cubic feet per minute and it blows up to 110 miles per hour. 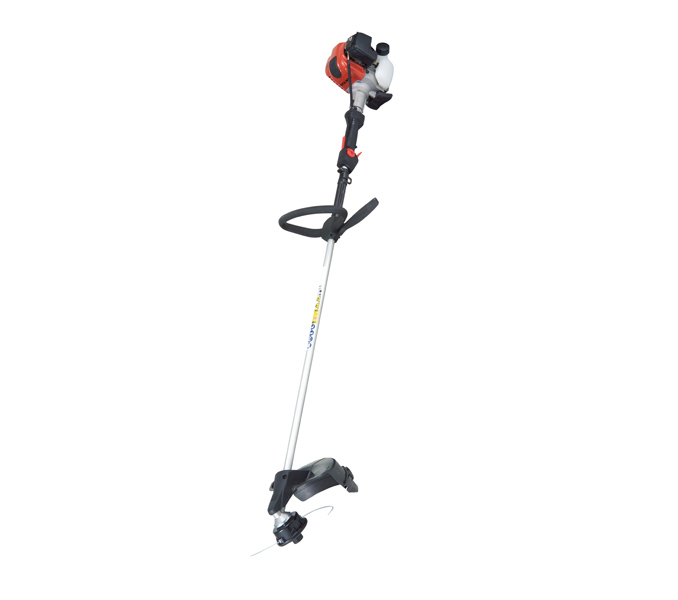 It has dual power control for high and low performance and an instant start trigger, so no more pulling when you want to clear your yard of unwanted leaves! Weight (fully assembled with Drive Unit, Power Cell and Attachment): 12 lbs. Hardworking, medium duty power. 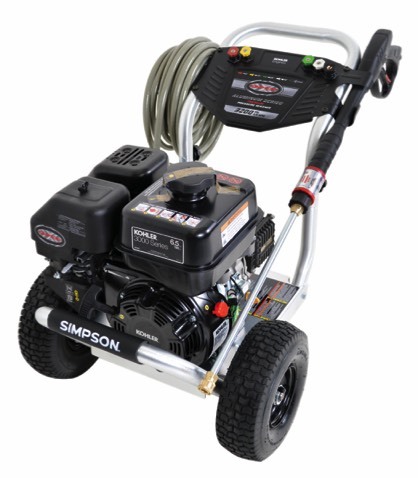 Powered by a reliable Briggs & Stratton 675 Series engine, the 2500 MAX PSI unit features four quick connect spray tips and a 30 ft hose for all your basic cleaning needs. ReadyStart® Starting System - Just pull for power, no priming required. Maintenance Free Axial Cam Pump with Easy Start™ Technology - For high pressure out put and easy, low-effort starting. 4 Quick-Connect Spray Tips - Predefined spray patterns for precise control. High Temperature Thermal Relief - Automatically purges overheated water to protect pump. Detergent Injection System - Adds cleaning solutions to the water stream, making cleaning even faster and easier. Fold-Down Handle Design - For compact and convenient storage with built-in accessory compartments. Removable Hose Wrap - Provides a hassle-free storage solution for the 30 ft. hose. Especially created for the home and shop, the SIMPSON® MegaShot series is perfect for the “Do-it-Yourselfer” looking for maximum performance with minimal investment. Simple to use and great for cleaning decks, patios, house siding, outdoor furniture, and prepping home exteriors for painting. Its compact design is lightweight and small enough to be easily transported by one person. Equipped with premium, high-quality components, designed for optimum performance in the harshest environments, and renowned for being easy to start, consistently. OEM Technologies axial cam pumps with patent pending PowerBoost technology provide higher pressure at the nozzle resulting in greater impact and cleaning performance. The MegaShot is perfect for those looking for maximum cleaning power with minimal investment. Its ergonomic spray gun allows the operator to work longer and with greater ease. It's quick connect steel accepts standard nozzles and attachments. 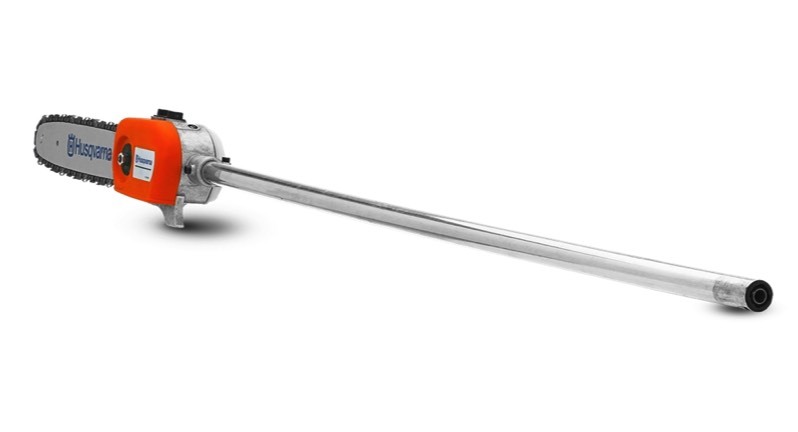 5 Stainless Steel Quick Connect Nozzles: 0°, 15°, 25°, 40° & soap applicator nozzles allow you to choose the spray pattern best suited for the job. Extra dirty? Just drop the detergent siphoning tube into pressure washer safe detergent and attach the soap applicator! 5/16" x 35' MorFlex™ high pressure hose provides high flexibility, is non-marring, kink and abrasion resistant, and equipped with easy twist-on connectors. contractors who specialize in deck cleaning, wood restoration, paint preparation, graffiti removal, and all other professional cleaning services. Equipped with commercial series OHV engines and industrial triplex plunger pumps that are built with high-quality components and designed for optimum performance in the harshest environments. Welded aircraft grade aluminum platform with brushed extruded aluminum tubing and pneumatic tires for mobility across most any surface. Pro-style quick connect spray wands and nozzles, with professional spray gun, allows users to operate with ease. High pressure hoses are non-marring, kink and abrasion resistant, and either polyester or steel-braided for exceptional strength and long-life. For those extra dirty jobs, drop the detergent siphoning tube into pressure washer safe detergent and attach the soap applicator nozzle. The PowerShot is an extremely powerful direct drive machine. The PowerShot is "The Choice" for Contractors and Cleaning professionals who want direct drive simplicity and SIMPSON quality in one package. More pressure and more water flow result in even greater cleaning performance and faster job completion. Those who agree that "Time is Money" use the PowerShot! 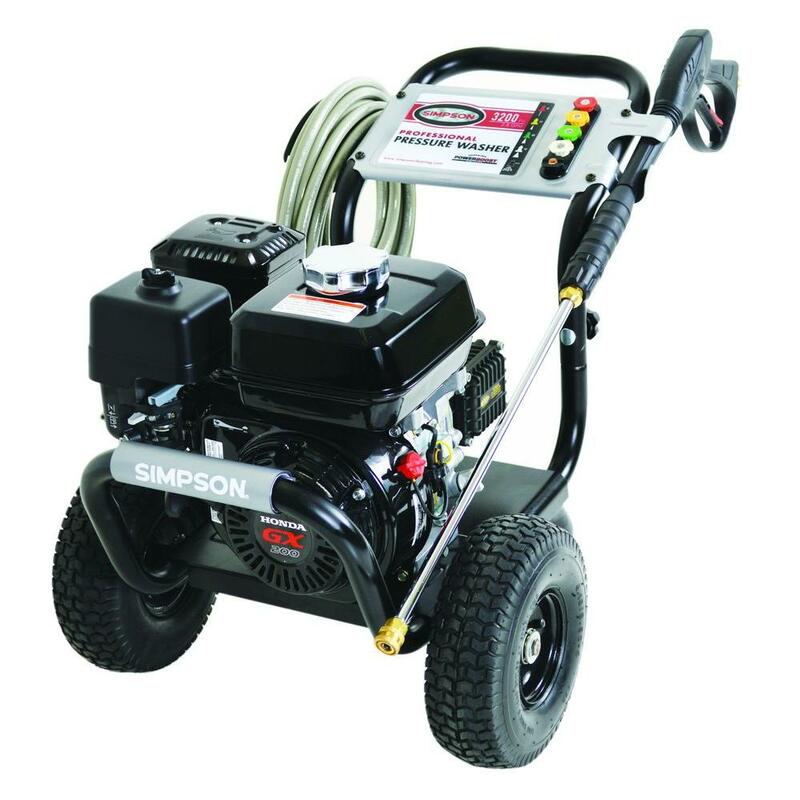 Designed to meet the rigorous demands of the cleaning pro, the SIMPSON® PowerShot is very powerful, yet extremely compact, easy to transport, set-up and load. Perfect for contractors who specialize in deck cleaning, wood restoration, paint preparation, graffiti removal, and all other professional cleaning services. Equipped with commercial series HONDA GX OHV engines that are built with high-quality components and designed for optimum performance in the harshest environments. 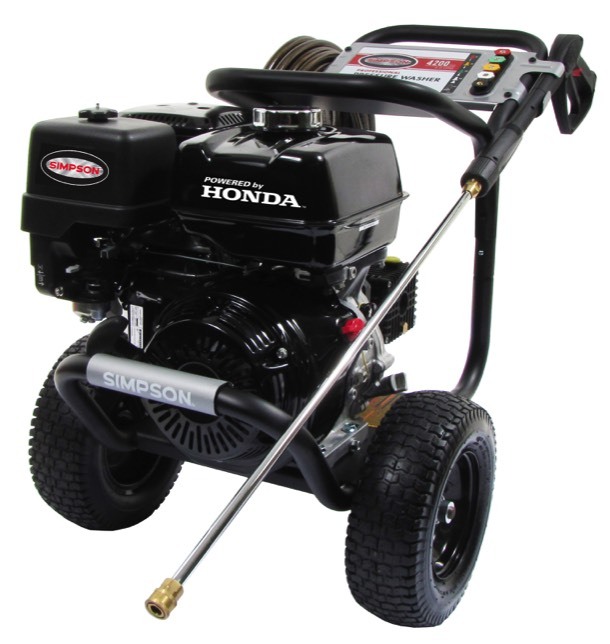 Honda engines are paired with AAA industrial triplex plunger pumps, a brand with a history of over 40 years of innovation. AAA pumps are equipped with patent pending PowerBoost technology that provides higher pressure at the nozzle, resulting in greater impact and cleaning performance. The PowerShot is an extremely powerful direct drive machine. The PowerShot is “The Choice” for Contractors and Cleaning professionals who want direct drive simplicity and SIMPSON® quality in one package. More pressure and more water flow result in even greater cleaning performance and faster job completion. Those who agree that “Time is Money” use the PowerShot! 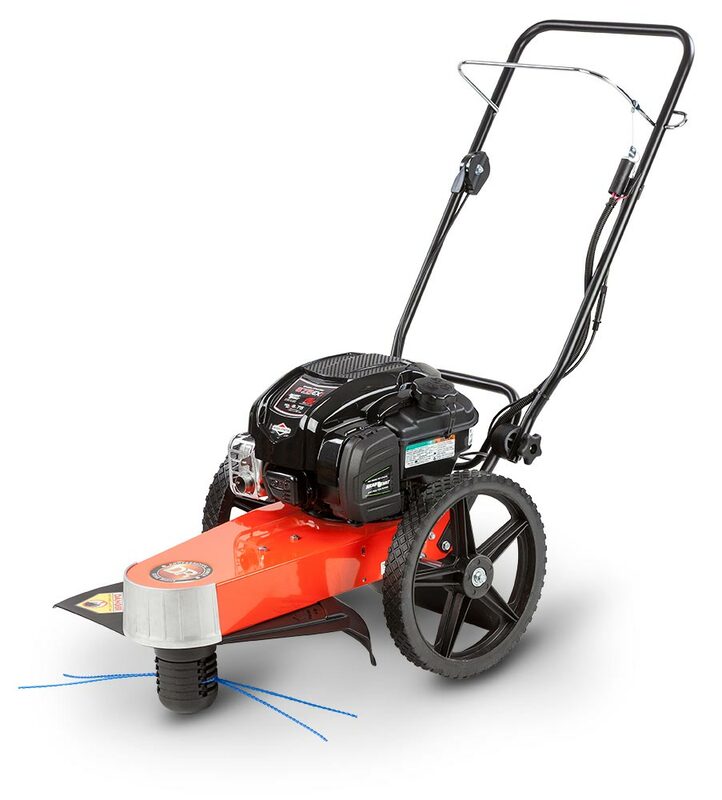 Due to the powerful 4-stroke motor, model MS-245.4 C is the ideal partner for all work round the house, for longer grass as well as for shrubbery. 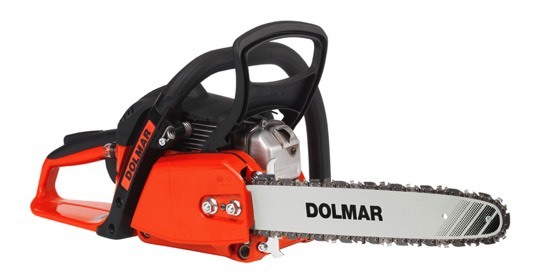 The Dolmar 4-stroke technology with its unique and patented oil circuit characterizes itself by its ergonomic design, longevity and environmental friendliness. Wide trigger control and soft grip for comfortable operation. 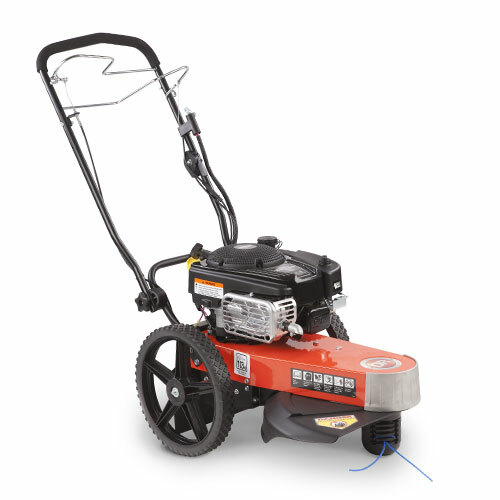 Powerful 2-stroke engine, designed for tough jobs. Diaphragm type carburetor. Position independent - Engine works even if turning 360°. 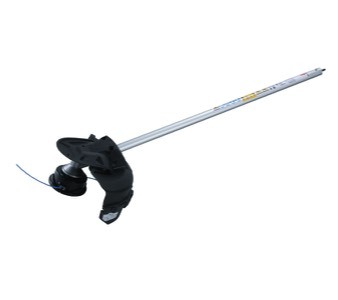 Curved shaft string trimmer attachment fits the coupled shaft motor unit CS246.4C. It is good for trimming around flower beds, fences, and paths. Curved-shaft models are shorter than straight-shaft models, which makes them easier to store and transport, but ultimately, it's personal preference whether you choose a curved or straight shaft. 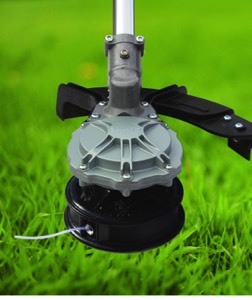 Brush cutter attachment fits couple shaft motor unit CS-246.4 C. Two-Part-Hood for usage with blade or line trimmer head. Straight shafts are longer than curved shafts, giving them a bigger reach for easier cutting under shrubs and fences. Pole Saw Attachment for use with CS-246. 4 C. Guide bar with chain for pruning. Integrated Oil-Tank, automated chain-lubrication. Solid long-life metal gear. Shaft extension, which extends the combi system length by 39.3" to give you a greater reach. 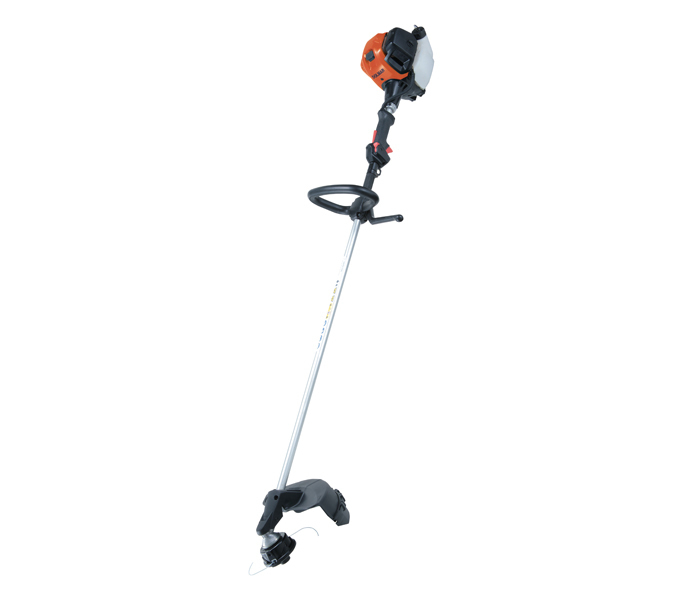 The Husqvarna EA850 trimmer attachment is a powerful, heavy duty edger attachment that creates clean edges for professionals and homeowners alike. Tough, replaceable wear guard protects gearbox. Quick adjust depth wheel. Ideal for residential applications for complete tool versatility. A great choice for both commercial and residential edging applications. Husqvarna 323Ex is an efficient and flexible edger with high power and low weight, equipped with Husqvarna's E-TECH® engine. The front handle can quickly be adjusted using the wing nut. The isolated journaled support wheel can quickly be set to different trimming depths. The guard is designed to prevent stoppage due to gravel and soil. (NB. picture is of 326Ex). Reinforced bevel gear: The bevel gear housing is reinforced with multiple layers of steel plates in order to prevent wear. Tool-less depth adjustment: Infinite height adjuster is durable and easily accessible. 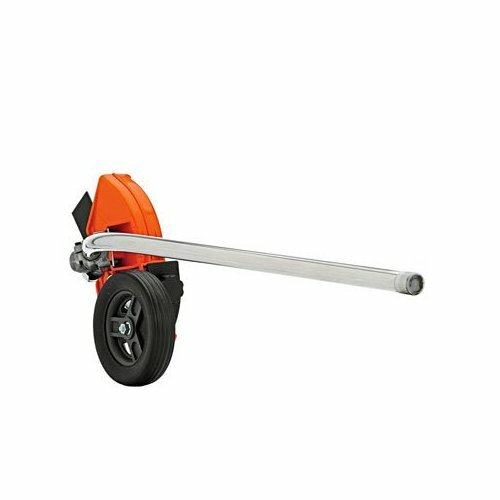 Large support wheel: Improves maneuverability and easily adjusts for edging depth. Blade guard: Guard is designed to prevent mud and dirt from interfering with blade operation. 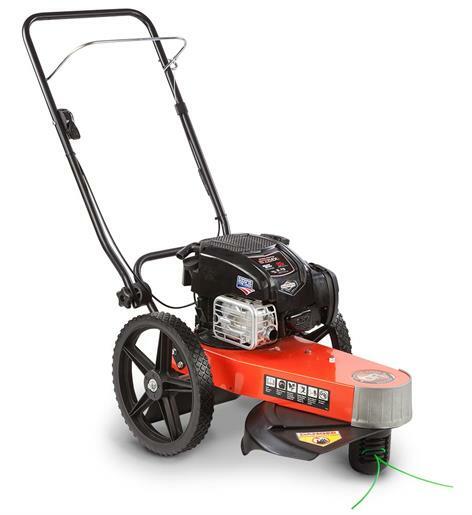 Whether you’re a commercial landscaper or a hardworking homeowner who simply demands the best, the OREGON® 40V MAX* Trimmer/Edger has the power and precision for any job you might face. With no cords to get cut or tangled, the ST250 is ALWAYS READY™. The OREGON PowerNow™ Lithium Ion BatteryPack features premium cell technology for long run time and fast, powerful cutting. An ergonomic, in-line design allows for comfortable use and quick and easy conversion from trimming to edging. 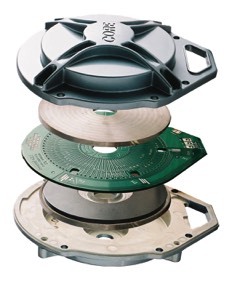 OREGON® Swift Load trimmer head technology makes string loading simple and fast. Cuts over 1,000 square feet or the length of over 14 football fields. What's included in the ST250-E6 Kit? 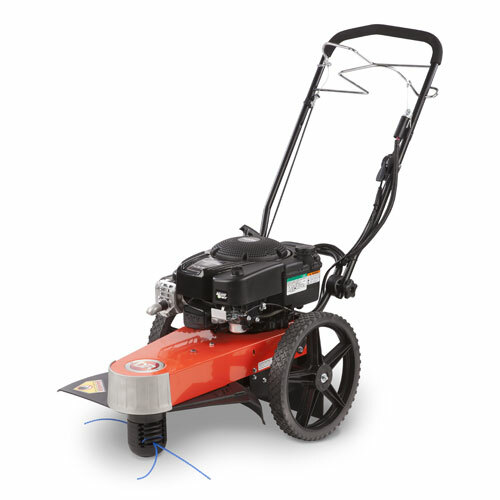 The CGT 400 Trimmer is reliable, lightweight and will run just as long as a tank of gas. 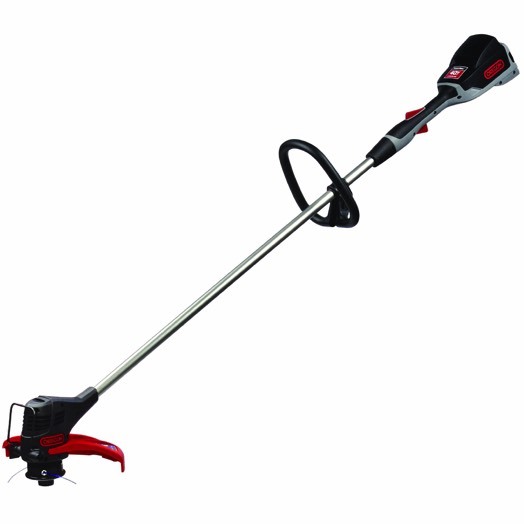 It’s perfectly balanced and features an instant trigger start, high-energy power cell, dual-mode controls for torque and speed, open view grass guard and a comfort grip handle. 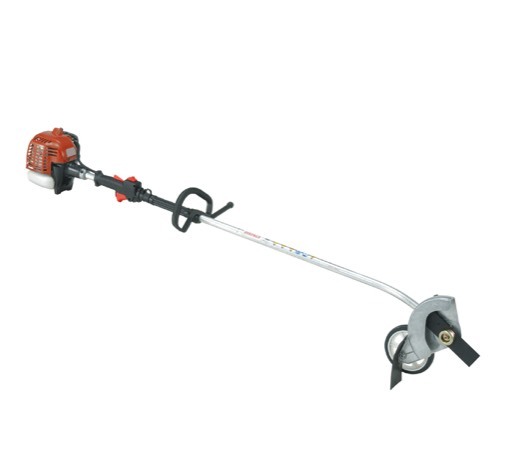 This lightweight, long life, virtually maintenance free CGT 400 Trimmer retails at a price comparable with high quality commercial gasoline trimmers on the market today. 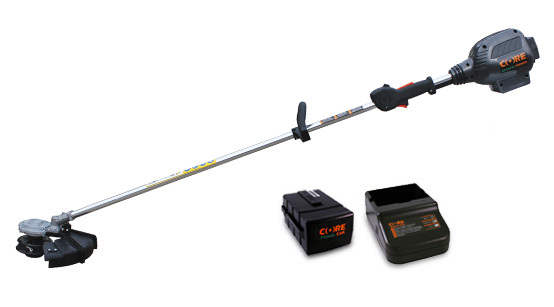 The CGT 403 Commercial Trimmer Package is ideal for the professional. 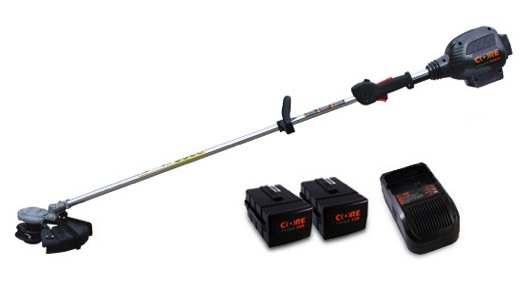 This package includes the CGT 400 Trimmer, a 1 hour Rapid Charger and 2 Power Cells. 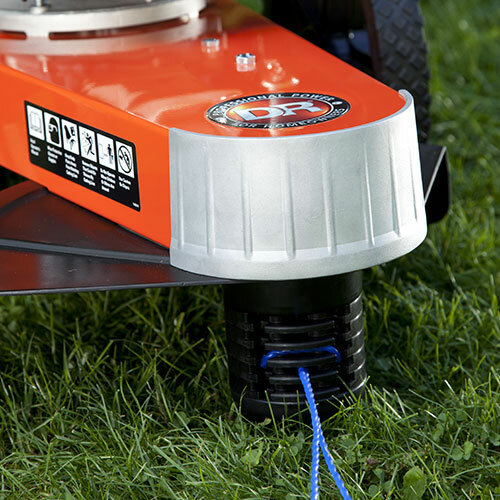 Dual mode power control- speed for normal grass trimming, or torque for optimum performance and longer run time. Powered with a state of the art prismatic high-energy power cell operating with new smart-core electronics for optimum performance and efficiency. Performance, durability and power is what you get with the CORE Power Lok Trimmer. 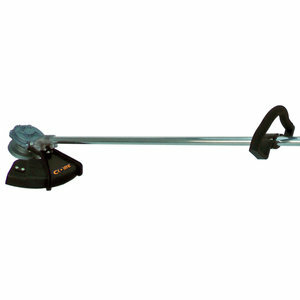 This is the trimmer attachment for the Power Lok Drive Unit CDU400 (sold separately). Run time is equal to a tank of gas. 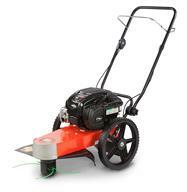 It has dual power control - speed for heavy grass cutting or torque for optimum performance and longer run times. The instant start trigger means there's no pulling necessary. It has a flexible soft-grip handle for comfort and a dual line bump feed spool action for .095 ultra quiet professional line. Weight (fully assembled with Drive Unit, Power Cell and Attachment): 11 lbs. This is a premium co-polymer trimmer line, 0.095 (2.4mm) diameter for use with CGT400 Trimmer, CGT403 Commercial Trimmer and CPL400 Power Lok Trimmer Attachment. It is ultra quiet and been tested for superior abrasion resistance, maximum strength and flexibility. 3lb package also available (CAQL3) for $ 29.99. 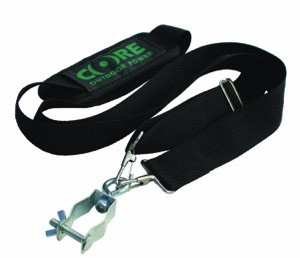 The Core Shoulder harness is simple to install and convenient and easy to use. 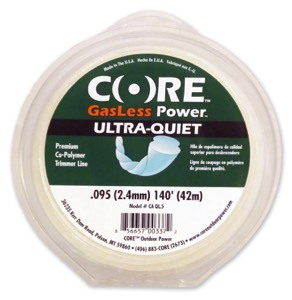 It works with all CORE Outdoor Power shafted products. 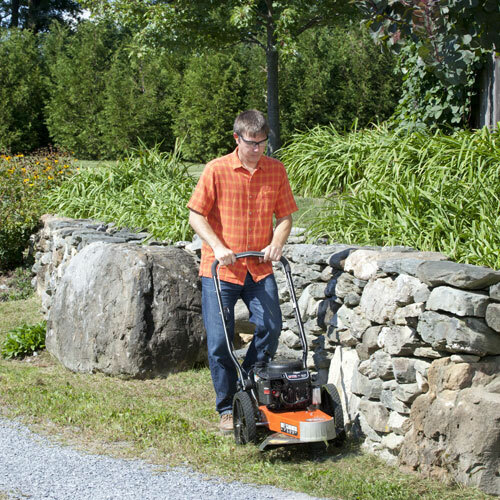 Our Premier model offers vastly more power than any handheld trimmer and will power through any trimming task and handle light to moderate mowing jobs with ease. At just 57 lbs it is light enough to maneuver in tight quarters, rolling easily on big 14" resin wheels. 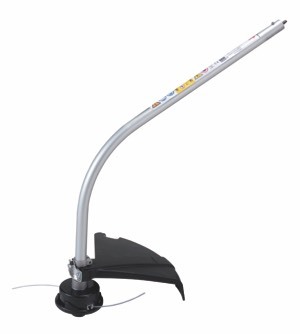 The Premier features a 22" cut and has five adjustable height settings, from 1.5 to 3.5 inches. 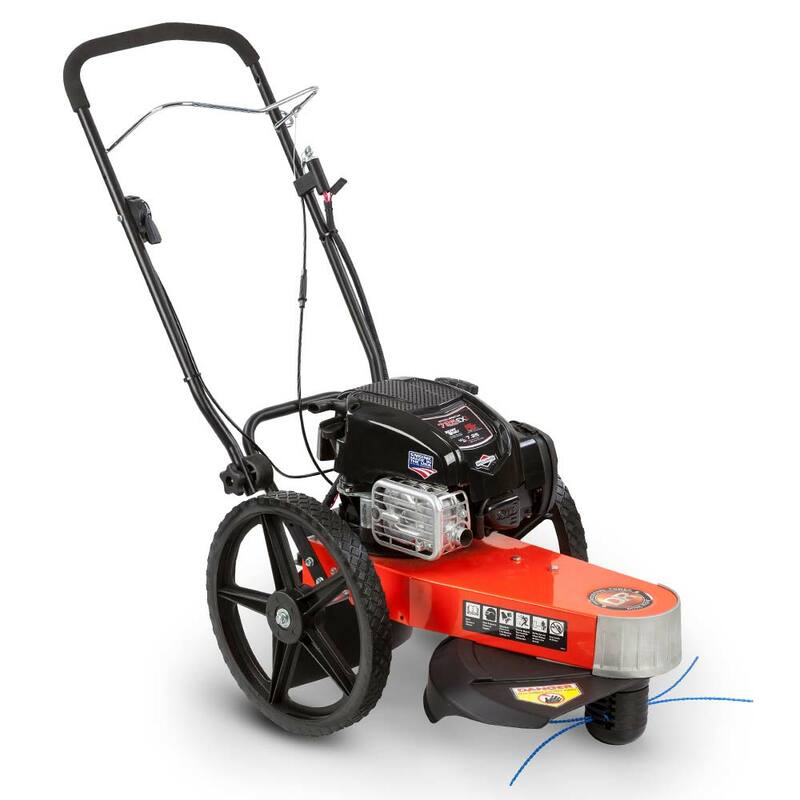 The 6.75 series Briggs & Stratton engine is available with either an easy-pull manual start, or an electric start for maximum convenience. 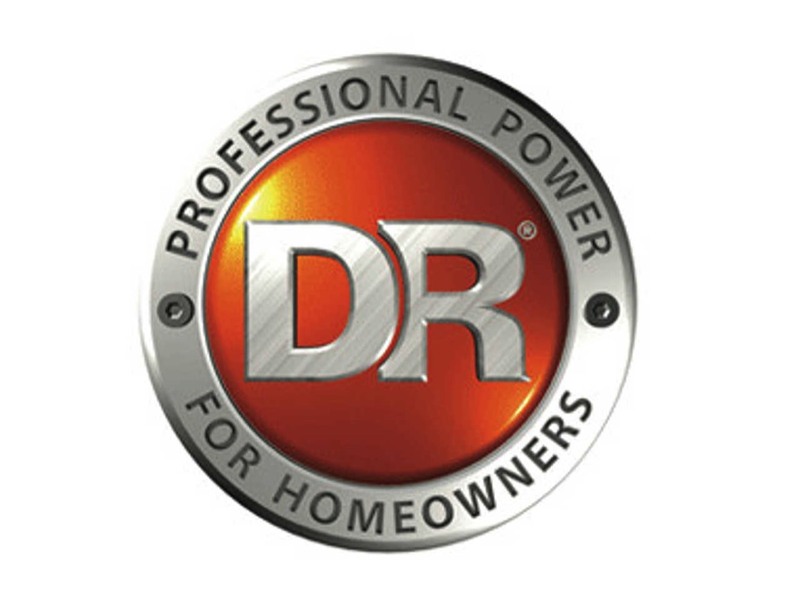 Each DR Trimmer/Mower is backed by a 2-year warranty for residential use (90 days for commercial use). Briggs & Stratton engines are performance engineered, ensuring that you get the most out of your DR Trimmer/Mower! 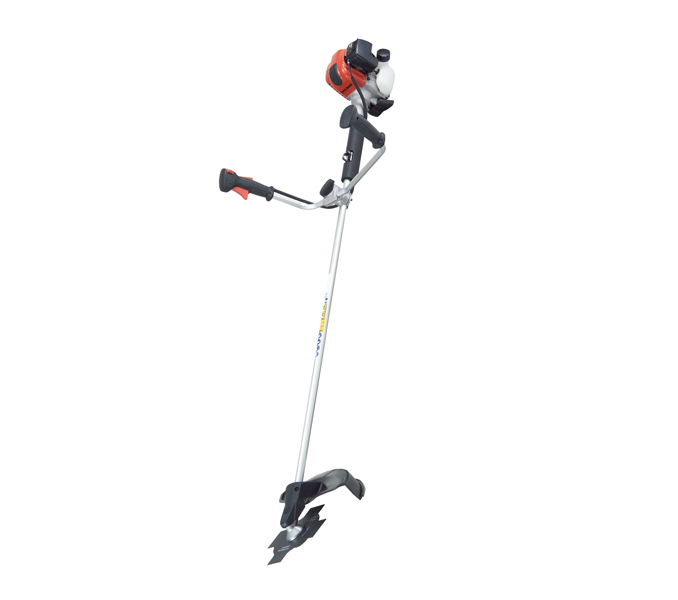 At just 57 lbs., the PREMIER is the lightest weight, trimmer on wheels in the industry. But rest assured, the PREMIER has plenty of power for all your trimming and mowing jobs. 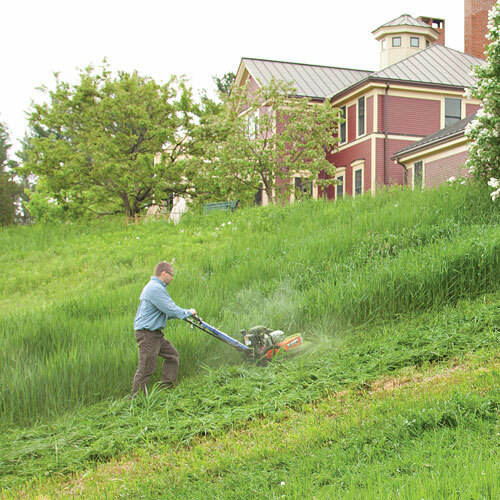 Step up to our Self-Propelled PRO-XL model for the ultimate ease in trimming and mowing! Variable-speed drive lets you walk at your own comfortable pace while the DR does the hard work. Electric starting. The PRO-XL Self-Propelled model has the muscle you need to handle your heaviest mowing projects. And with the self-propelled drive, you can power up hills, over rough ground, or simply trim on even terrain with maximum ease and comfort. Choose the walking speed that's right for you, from 0 to 3 mph. 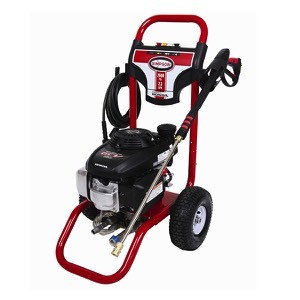 The world class Briggs & Stratton engine features overhead valve design (OHV) and Maintenance-free Magnetron® electronic ignition for quick, dependable starts. The frame is mounted with 14" wheels for easy maneuvering. The PRO-XL cuts a 22" swath, has 5 adjustable mowing heights (1.5" to 3.5"), and offers ergonomic handlebars for stress-free mowing. The PRO-XL has an offset frame design that lets you trim right up against foundations, fence lines and other obstacles with precise control. The front is fortified with a cast aluminum nose plate that protects the machine against damage from collisions. 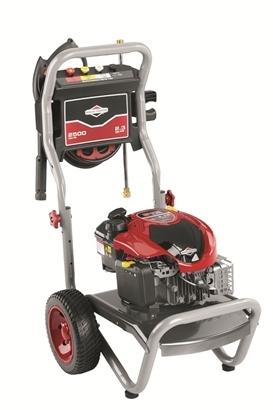 The electric-starting Briggs and Stratton engine carries a 2 year warranty in residential use (90 days commercial).